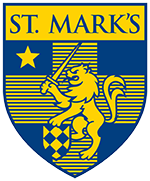 For more than 30 years, the Goals for St. Mark's strategic planning process has served as a road map for the School, guiding its focus and ensuring excellence is never taken for granted. In the early 1980s, under the leadership of Trustees such as Robert Decherd ’69 and Robert Hoffman ’65, St. Mark’s set out to create its first strategic plan, modeled after the successful Goals for Dallas of the 1960s. The result was Goals for St. Mark’s, a document that combined the priorities of the entire community and set forth a road map for the future. In the decades since Goals I first launched, much has changed. The physical campus has been, and will continue to be, transformed with new facilities. Classroom curriculum and campus programs have adapted to prepare boys for the modern world. And the student composition has become a diverse community of the best and brightest learners and leaders. Goals II and Goals III, launched in 1990 and 2002, respectively, laid out steps for the School’s growth over the decades. Now, after a full year of reflections and recommendations and more than 50 working drafts, St. Mark's is proud to present this final document. While this document is now being unveiled, work is already underway to address many of its recommendations. The Science Center Project is under construction, the Character & Leadership program is continually expanding, and classroom curriculums are ever-evolving. Over the next few years, the other priorities will be addressed with a careful plan of execution.